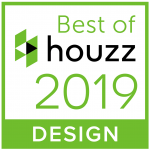 Honey Brook, Chester County, January 18, 2019 – MK Designs, LLC of Honey Brook, PA has won “Best of Design Photography” on Houzz®, the leading platform for home renovation and design. The custom cabinetry design/manufacturing firm was chosen by the more than 40 million monthly unique users that comprise the Houzz community from among more than 2.1 million active home building, remodeling and design industry professionals. At MK Design, we tailor-design and build Custom Kitchen Cabinets to suit your unique style. We also design and build cabinetry for every room of your home including offices, wine cellars and more. We have in house designers ready to work with you to help make your ideas a reality and your home uniquely yours. Offering 3D CAD designing to highly skilled craftsman in our workshop. 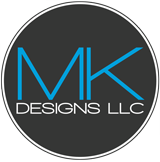 MK Designs will create and install cabinets you will enjoy for a lifetime. Free Design Ideas in Your Inbox!